Found footage horror films are too trendy now and with a very small amount of them being good Devil’s Due continues the trend of horrible main stream horror films. The film follows a newly wed couple when on their honeymoon get lost only to picked up by a mysterious cab driver. When the cab driver decides to invite them on a passage way through dark alleys to a party in a underground cave they deem it a good idea. That is until the wife is taken and performed upon with a voodoo like spell. Once back home they discover she is pregnant and from there things go south fast. It might be one of the most ridiculous and random stories in recent horror. There are just so many moments where you not only wonder why someone would do something but then take it a step further to where you know that NO ONE would do anything like this. If you get lost in a town in a random country where no one speaks your language really you don’t go wondering around dark neighborhoods with a cab driver. During the ultrasounds when the doctor disappears and the machines don’t work you continue to go. The film pretty much falls into a mix of scenes that don’t make sense and are just stupid. 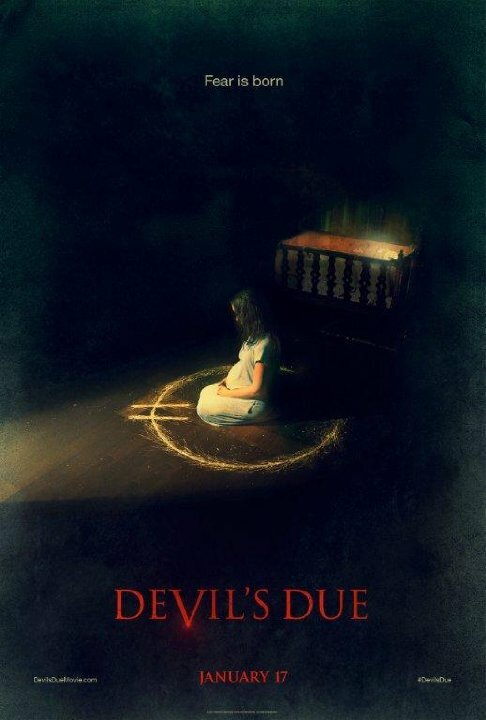 Speaking of not making sense like most found footage paranormal type films Devil’s Due tries to add a group or cult that want to the devil baby. In no way, shape, or form though does this film let you know who everyone in the cult is though or really why they want the baby. No explanation is given except that the people are everywhere and continuously doing this to others. It’s useless as well to talk about the acting, simply it’s atrocious. For a film going for almost 90 minutes a day there really isn’t a single interesting moment. You get to watch a good chunk of the film from the viewpoint of the husband recording many mundane moments for no apparent reason. Even the ending which is always the best most action filled part of these films is slow and leaves nothing exciting. It does continue the current trend for found footage films of leaving questions that will never get answered. Though in this film I can’t say that I even cared with to begin. I can’t recommend this to anyone at all.